This is the slow season… It is cold and nothing in bloom so we don’t have much of any shooting going on right now. When Tina contacted me about some head shots for their business Luke & I jumped on it. We already knew that we would not only give them some great pictures for their website but also have fun with them. You see we know these two. They are literally so much fun to be around and we look up to them a lot. They have been very successful in business together and have just started doing real estate together. They are a husband and wife team that know how to work together as well as have fun together. If you have been to the Paragon Theater then I am sure you have seen their commercial on the big screen for colony construction. They not only do amazing work but they are very trustworthy! You might also recognize them because they are the parents of one of my past brides. These two are busy and have a lot going on, but I can honestly say every time I see them they are smiling and having a good time together. This is why Luke & I look up to them because they are such awesome examples for married couples who are in business together! We seriously couldn’t have asked for a better day than we had on Saturday. As I am typing this, the wind is blowing and it is FREEZING outside. Today was a typical February day. 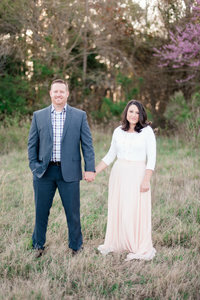 However, this past Saturday the day of our session…It was GORGEOUS! 65 degree weather! So you can imagine we definitely had fun with them and little Miss. A big thank-you to Shae ( Anywhere Beauty by Shae ) for doing an awesome job on Tina’s Hair & Makeup! She was Flawless! Oh wow- what a gorgeous family! I absolutely love these!! I really love the close up BW of the little girl. Beautiful family! Thank-You Kathy! She is such a little beauty! These are absolutely gorgeous! Such a sweet session and a beautiful family!